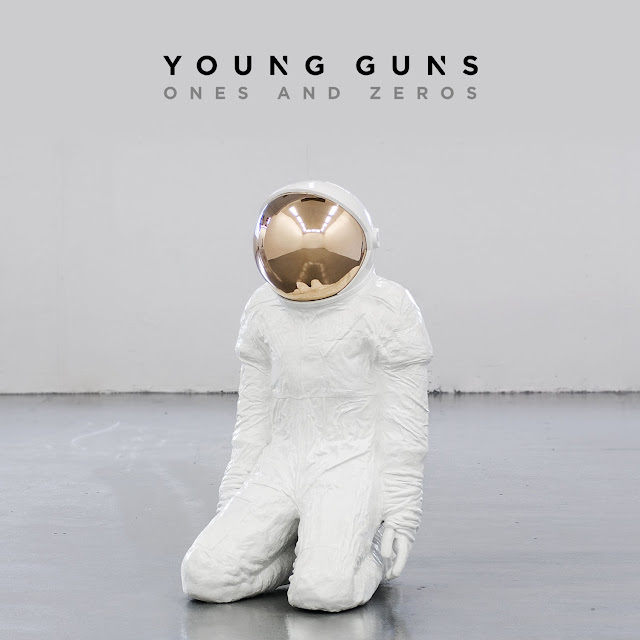 ‘Ones and Zeros’ is just as bold as its predecessors, but definitely has a different sound to it, as the ban have pushed themselves and experimented to create something new for them, in comparison to their earlier releases. Maybe it’s the astronaut artwork, or song titles like ‘Gravity’ and the title track, but the album does make me think of space, and feels very modern in many ways, with an almost dance influence; perhaps due to the increased production quality. Yet, they have achieved this using real instruments, not turning to electronic synthesised sounds, and maintain the style of rock music. There’s a good mix of fast, catchy songs, like the first singles to be released, ‘I Want Out’ and ‘Speaking in Tongues’, perfect for radio airplay, alongside slow and haunting tracks like ‘Lullaby’ and ‘Gravity’ - personally, I prefer the former, which have more of a rock sound, but all are executed wonderfully. Although not pioneering or dramatic, Young Guns have a sense of grandeur to their music, with big, bold sounds, and big ideas in the lyrics, with reflective tones running throughout many of them. There is a definite optimism in the lyrics this time around too, in tracks like ‘Rising Up’ and ‘Daylight’, suggesting an air of confidence. And all are delivered expertly by Gustav Wood’s impressive vocal range. It’s a cohesive album, and while the tracks are good on their own, together they form a sort of bigger picture. It’s a solid selection of great rock music; not very experimental or unusual in the greater musical spectrum, but definitely showcases some different sides to the band, and shows a progression since their last release. Definitely worth a spin!